Get rewarded with our new Loyalty Program! Earn a stamp for every $100 spent. For every 16 stamps, get a $100 credit on your next visit! blow out and brush out on all pets. 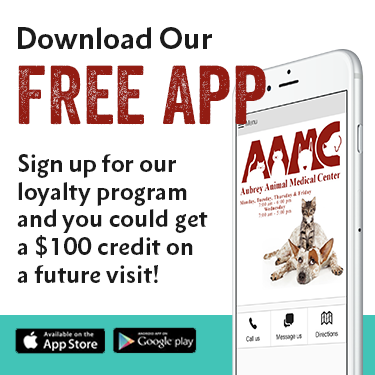 AAMC is your local veterinary providing the most advanced comprehensive medical, surgical and dental care. We recently lost our dog of 16 years and the excellent staff went above and beyond what was expected. Although we knew the time was coming to say goodbye to Jackson it happened when I was out of town on business and the staff helped my wife with every detail as compassionate and understanding as possible. Even with a follow up sympathy card we received this week that really spoke to how much they care during our time of loss. Thanks again for all you do! Appointments are quick to schedule and timely upon arrival. The staff are knowledgeable, patient with pets (and owners), and efficient. I am happy to have found such a wonderful vet to care for my dogs since my recent move here from Kentucky. The entire staff is most courteous and polite and treats you like family! The Doctor was outstanding. She called us for an update on a Saturday. Thanks again!